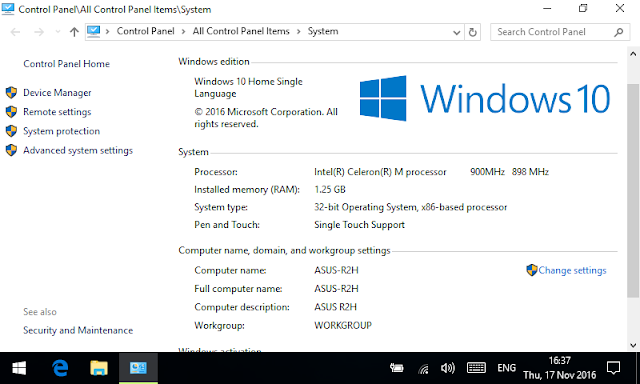 Dan Dar3: Windows 10 Anniversary Update on ASUS R2H - "End of the Road"
Windows 10 Anniversary Update on ASUS R2H - "End of the Road"
I remember I started this blog almost exactly 10 years ago all excited by the advent of mini-tablets in the form or UMPCs, with a first post from the actual device. 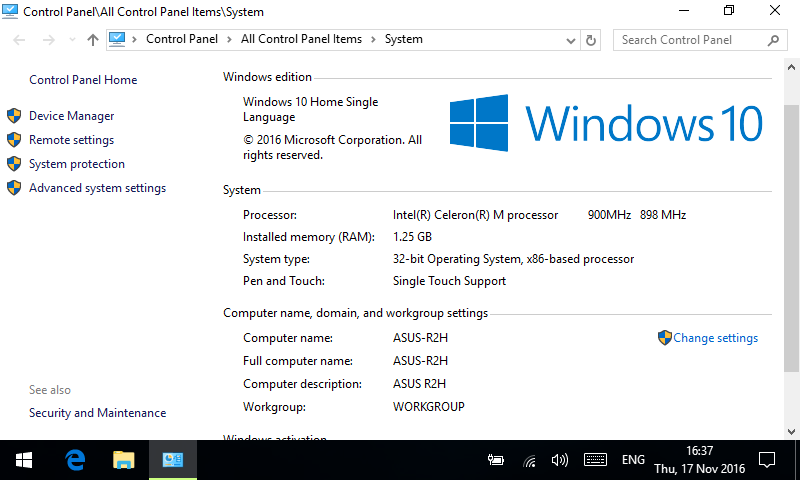 My ASUS R2H came with Windows XP Tablet Edition, qualifying for a free upgrade to Windows Vista, followed by quite a number of pre-release, preview, trial and final versions of Windows 7, Windows 8 and 8.1, and finally Windows 10. In spite of the fact that the actual support from ASUS and Intel ended with Windows Vista, it has been possible to run for much longer thanks to Windows support for legacy devices from Microsoft. Graphics performance of the old Intel GMA 900 is quite poor with Microsoft Basic Display Adapter driver (v10.0.14393.0, 21 Jun 2006). ASUS graphics driver for Windows Vista (v6.14.10.4764, 15 Mar 2007) will not install anymore, XPDM (XP Display Model) drivers are not supported starting with Windows 8. 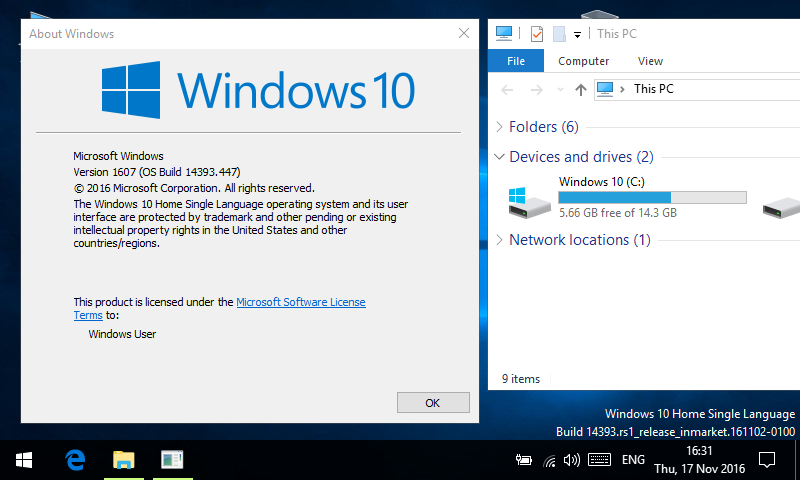 Works fine with Windows (AuthenTec) driver (v3.4.4.84, 11 Oct 2012). Enrol your fingerprint(s) in Settings > Accounts > Sign-In Options. Fingerprint Set Up button might be disabled if you haven't configured a text password yet - should do that first and then come back to it. 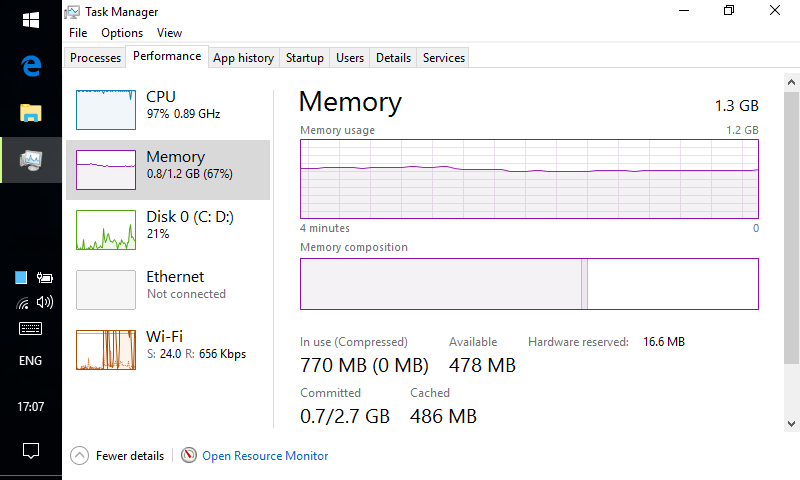 Works fine with generic Microsoft driver (10.0.14393.351, 21 Jun 2006). ASUS Bluetooth driver for Windows Vista (v5.10.02, 12 Feb 2007) would not install. Works with Windows (Realtek) provided driver (v10.9.422.2016, 22 Apr 2016). You may try to install the ASUS LAN driver for Windows Vista (V6.190.115.2007, 24 Jul 2007). Enable GPS receiver (NMEA 0183 on COM1, 4800 baud) with device_switch.exe part of ASUS Device Switch (v1.0.0.1, 25 Jul 2007) or the open source eqivalent gpsCtrl.exe (dandar3/ASUS-R2H-gpsCtrl on GitHub). Tested with GPSDirect (Sensor Driver > Install, followed by Tests > Sensor Explorer On) and MTTTY Serial Terminal (COM1, 4800, 8-N-1, followed by File > Connect).